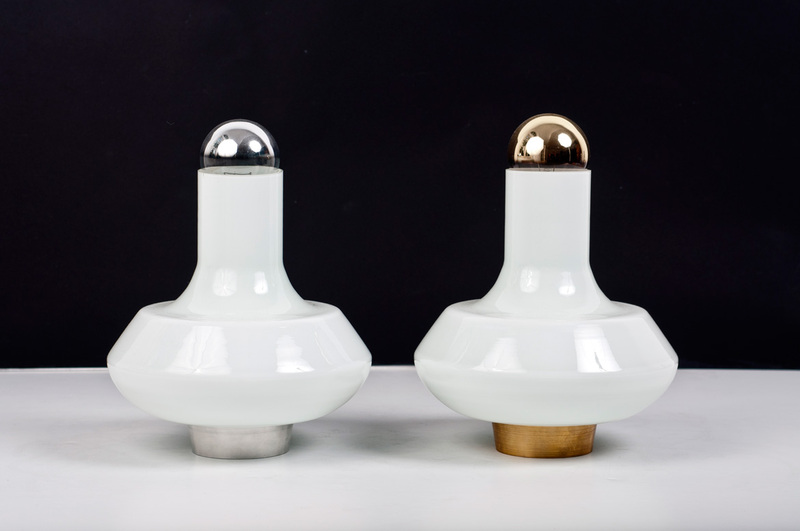 The Sputniks is one of three design collections presented in the exhibition, “Stories from Central Europe”, which was curated in response to the 2011 Budapest Design Week (4 to 30 October 2011). The collection was shown in Blood Mountain’s Salon, which also served as the setting of an associated public programme of talks and workshops. 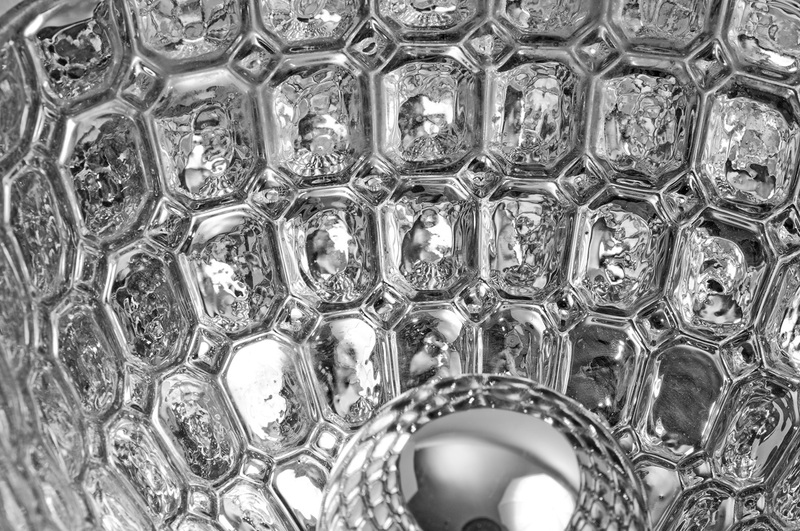 The Sputniks follow a similar approach to The Luxus (Part 1) in celebrating a marriage between old and new. Lighting fixtures from former industrial, commercial and domestic uses are re-appropriated with subtle interventions and a simple electronic system. 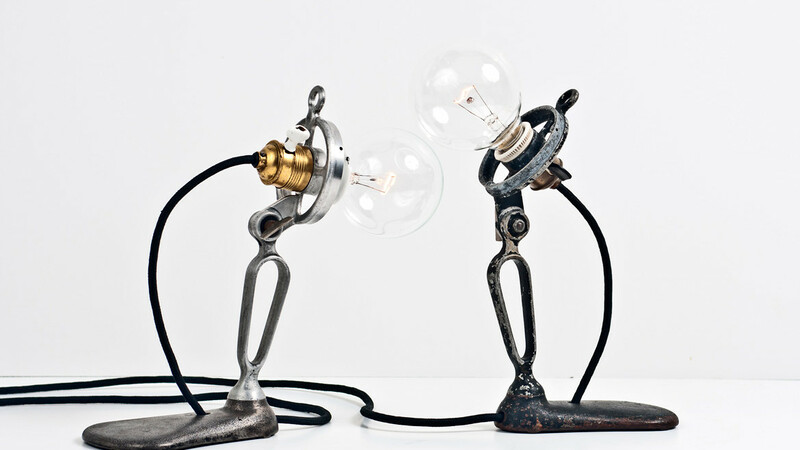 ‘The Double Agent’ comprises two identical industrial lights found in different states of disrepair at the flea market and restored to varying states to highlight the diverse possibilities of their form. On the right, the original patina remains untouched, while the object on the left is stripped bare with an abrasive chemical treatment. Refitted with large transparent light globes and new fabric cables, the mystery surrounding the pair’s provenance is a reminder to the doubt and secrecy that characterised the Cold War. 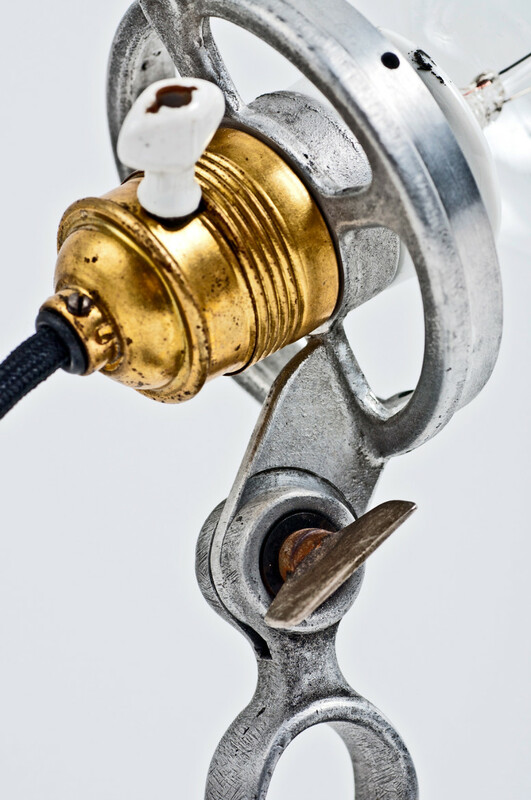 Similarly ‘The Twins’ were conceived with minimal interference, as two gas lamps were cleaned and adorned with gold and silver brimmed light globes and fitted with simple brass and steel legs. 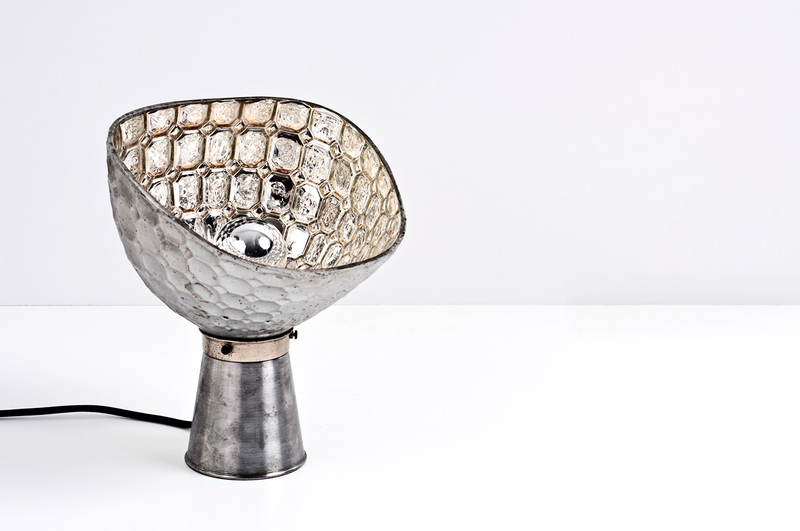 When turned on, they appear identical; when turned off, their individuality is emphasised by their distinct metallic detailing. 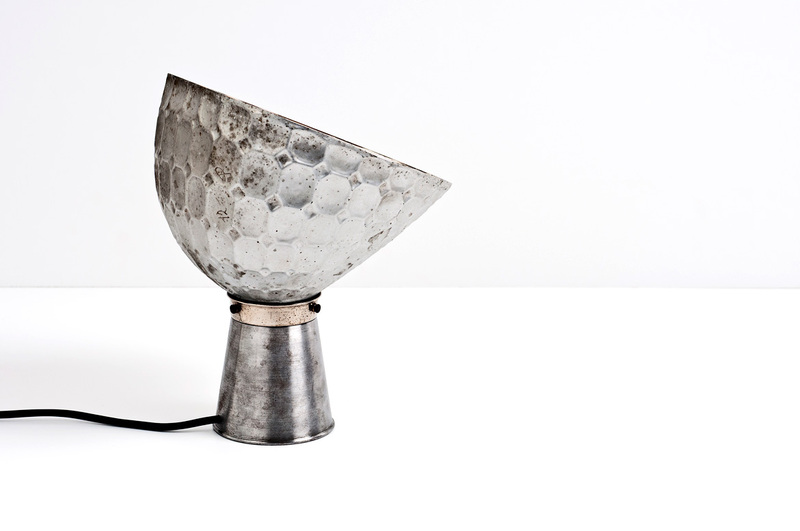 The only solo piece in the collection is ‘The Satellite’, which is a glass reflector lamp cleaned and displayed on a new steel base. Commonly used in pre-war Europe, it became a symbol of Central European manufacturing, where it was abundantly made and used in the 1950 and 60s. All members of the Sputnik family were found at Ecseri, Budapest’s leading flea market and re-appropriated with minimal intervention to commemorate their original beauty and purpose. The exhibition “Stories from Central Europe” presented three new concept collections in response to the theme of the 8th Budapest Design Week: ‘Couleur Locale’ (Local Colour). The term was inspired by the 19th century French literary movement of Romanticism. Steeped in social realism and revised notions of nationhood, diversity and cultural identity, it encouraged writers to express dissatisfaction with contemporary issues and proposed new alternatives inspired by foreign cultures and earlier periods. “Stories from Central Europe” paid tribute to Hungary’s ageing artisan culture, specialist manufacturing skills and the material quality of old world materials with the collections: The Luxus, The Sputniks and The Hungarian Traveller. All objects were found in Budapest with contemporary elements produced by local artisans under the creative direction of Tom Sloan.